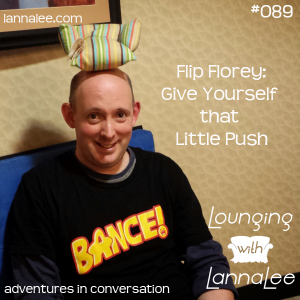 Flip Lounged with LannaLee and got a couch! Since his application to Starfleet as the first Jedi/Robot Lion pilot was denied at the age of 12, Flip Florey went on to greater things. Such as balloon twisting, clowning, boardgame evangelist, podcaster and student. Long time friend of the one and only Lanna Lee and fellow enthusiastic cat lover, Flip Florey is one bad bald dude that can’t dance and dreams about hunting down a copy of Vanilla Ice’s Electronic Rap and Rhyme board game one of these days.